I recently posted this to my new blog at Diane Uke Shares! 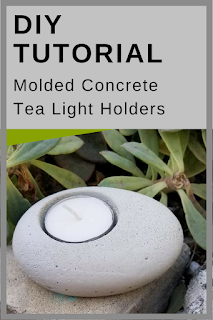 You may click on the following link to go directly to the instructions: DIY TUTORIAL: Molded Concrete Tea Light Holders. Hope you enjoy--they also make wonderful gifts!